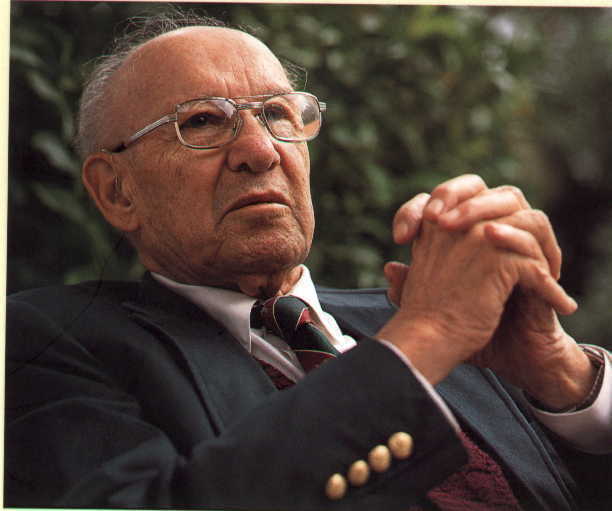 In the first half of 2010, Peter Drucker's 1973 book Management: Task, Responsibilities, Practices sold over 300,000 copies in Japan. When compared to the 100,000 copies sold in the previous 26 years, the leap is pretty remarkable. "The unlikely catalyst for this cultish enthusiasm," explains The Economist, "is a fictional teenager called Minami. Like many high-school girls in Japan, she becomes the gofer for the baseball team's male coach. Unlike many of her compatriots, she is the kind of girl, as the book says, who leaps before she looks. Horrified by the team's lack of ambition, she sets it the goal of reaching the high-school championships. She stumbles upon Drucker's 1973 book, and it helps her turn the rabble into a team." Minami is the main character of a popular 2009 Japanese novel entitled (in English) What If the Manageress of a High School Baseball Team read Drucker's "Management"?, or Moshidora for short. A manga adaptation was launched in late 2010, while the film adaptation was released in 2011. I have yet to track down a copy of the novel or manga, though my, shall we say, less-than-stellar Japanese would be of no help when reading them. Furthermore, the movie wasn't exactly Best Foreign Language Film material. However, the 10-episode anime TV series that aired in 2011 was quite good and actually captured what I love about management, management literature, and Drucker's work in particular. Episode 5 ("Minami Abandons Traditional High School Baseball") stood out the most to me because it was able to demonstrate the principle of growth, the spirit of which can be applied personally from business to sports to spirituality. 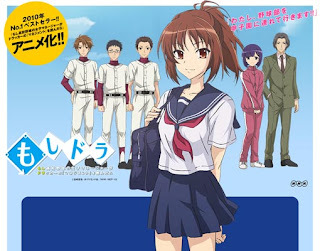 After Minami discovers the concept of "innovation" in Episode 4 and encourages the team's coach to revolutionize high school baseball by means of it, Coach Makoto implements a "no bunt, no ball" strategy: in order to reduce the pitcher's time on the field and increase defense, the pitcher throws only strikes. Sacrifice bunts are also eliminated, upping the chance of runs without taking an out. The team tests their new strategy at an exhibition game against a college team (whose players are on the national level). After the college team gains a 10-run lead, the strategy looks as if it is a failure. However, Minami realizes that her team's pitch count and number of field mistakes is decreasing with each inning (they had cut it in half by the time Minami noticed). During the final inning, Minami's team prevents their rival from scoring and gets their only two runs of the game. Even though the score was 34-2 (and ended early due to the mercy rule), Minami and her team were thrilled. Their strategy had resulted in significant growth and development, even within the course of one game. On the surface, the strategy looked like a failure. But in the long run, it took the team to the National Championship. On a larger scale, this should be instructive on how to approach personal development of any kind. "It’s unnecessary and unhelpful to lash ourselves into a frenzy to try and vault to perfection in one leap," writes Nathaniel Givens. We all go through "transitional periods of growth" and should not attempt to "leap-frog our way to Celestial natures." We need to engage the work at hand. Progress is as much about the present as it is about the future. 1. The full Japanese title is Moshi Kōkō Yakyū no Joshi Manager ga Drucker no "Management" o Yondara. 2. I love Minami's "a-ha" moments. The abstract scenery that Minami is placed within along with the accompanying music is an awesome portrayal of insight and inspiration. 3. See Teresa Amabile, Steven Kramer, The Progress Principle: Using Small Wins to Ignite Joy, Engagement, and Creativity at Work (Boston: Harvard Business Review Press, 2011). 4. 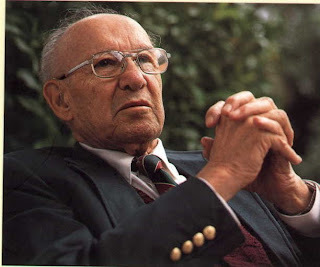 Teresa Amabile, Steven Kramer, "The Power of Small Wins," Harvard Business Review 89:5 (May 2011): 75.